The product from the recalled lots will have been displayed in the seafood departments of the stores where they sold, and is likely to have been sold as steak loins or pieces of loins on a tray with clear plastic wrap cover. It also may have been sold out of the fresh case and wrapped in "butcher paper" to the customer's order. Customers concerned about whether the tuna they purchased may contain the recalled tuna loin product should check with the store where they purchased the tuna. 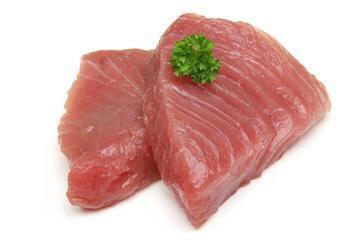 That store will be able to determine if it used the recalled product to prepare the tuna. Consumers who purchased the recalled product should return it to the distributor for a full refund. Consumers with questions may contact the company at 1-888-730-3875, Mondays through Fridays, 8 A.M. to 5 P.M. (PDT).